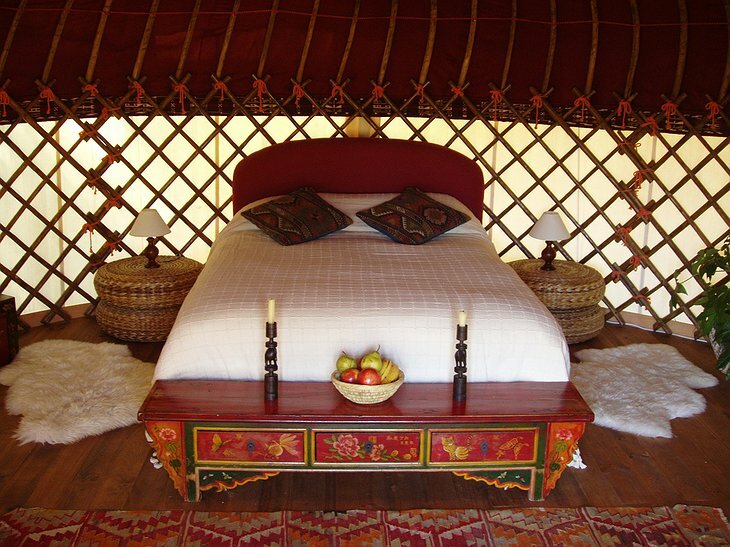 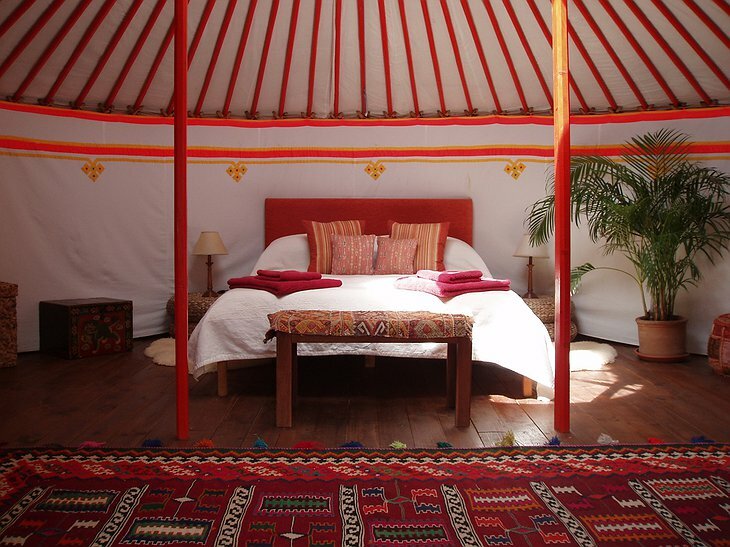 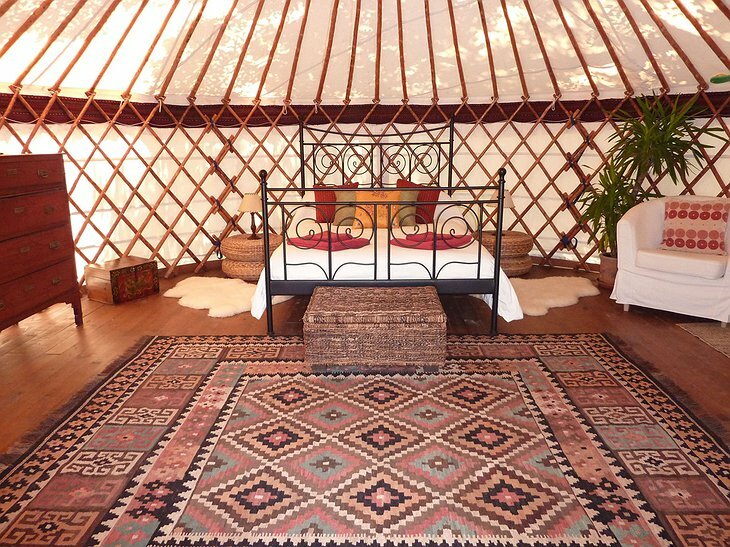 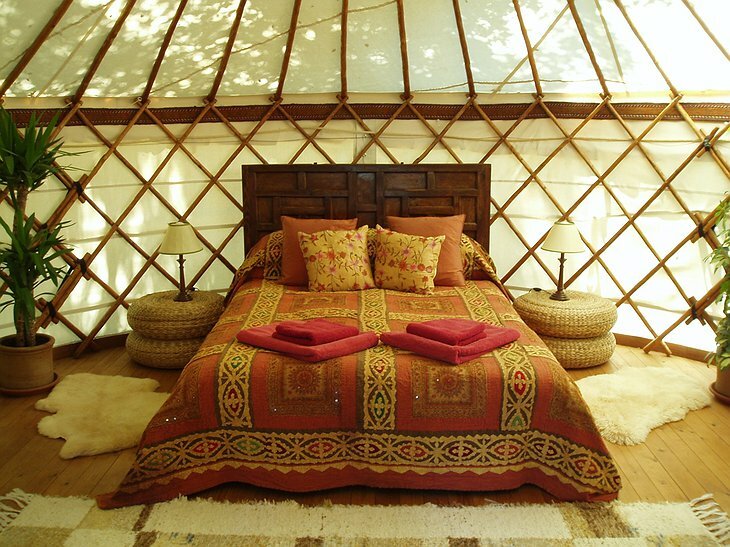 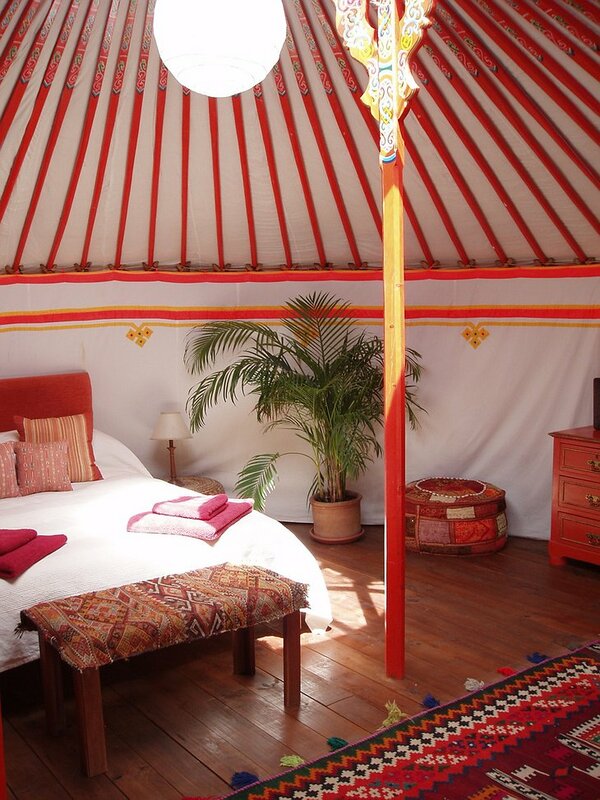 Well known to discerning free spirits, the Yurt is the traditional accommodation of the native peoples of Afghanistan and Mongolia. 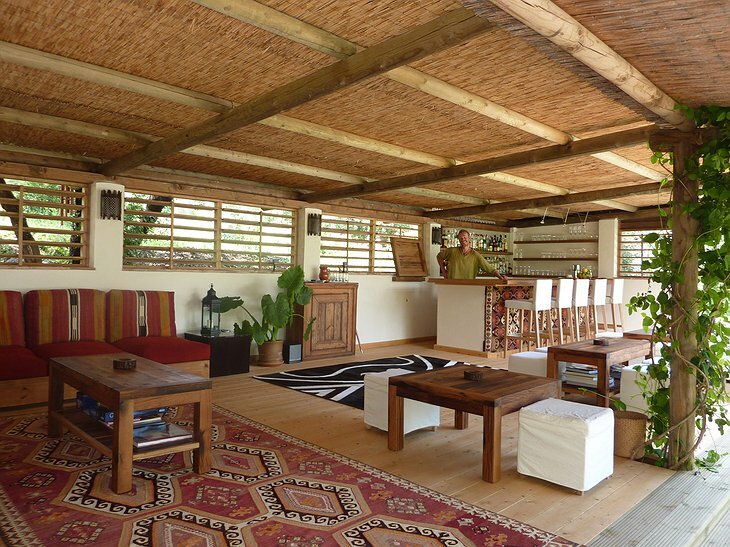 They are canvass constructions with wooden floors and coloured lattice wooden supports. 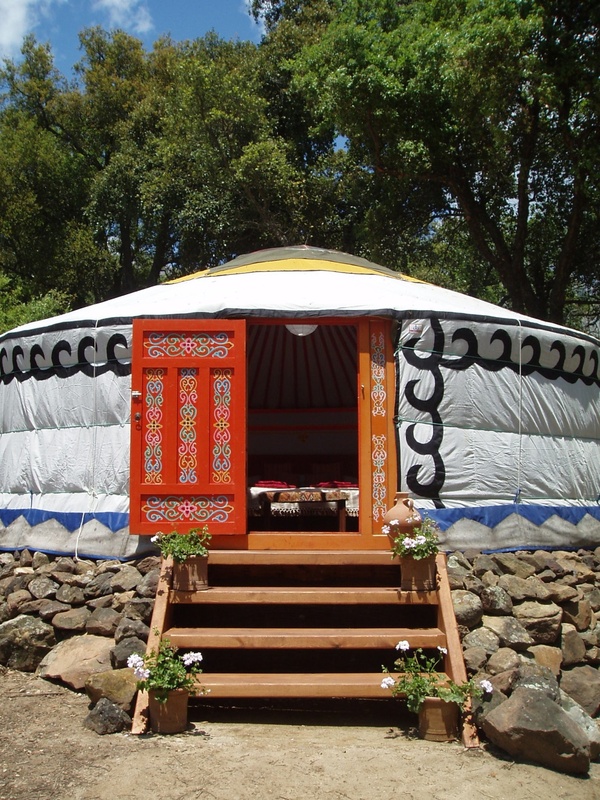 Inside it is a cozy and intimate experience. 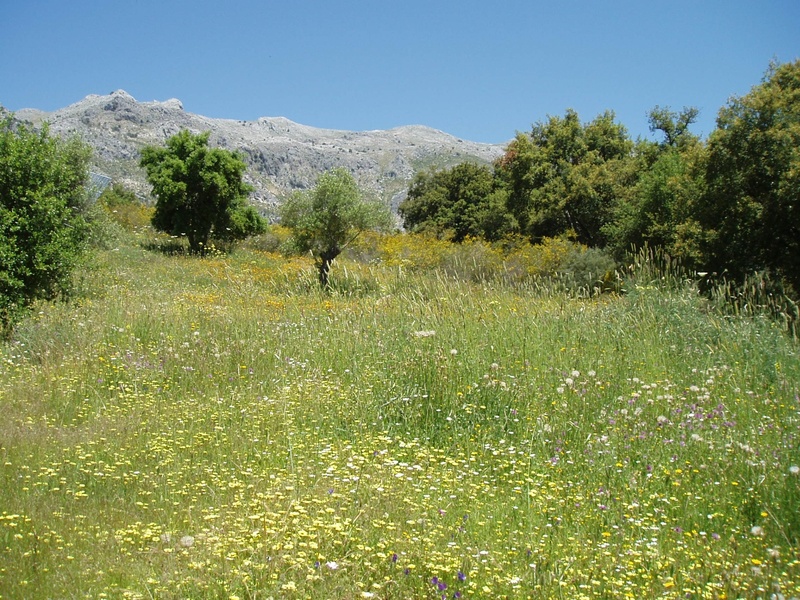 Opening the painted wooden door directly into the stunning scenery of Andalucía is an intense experience. 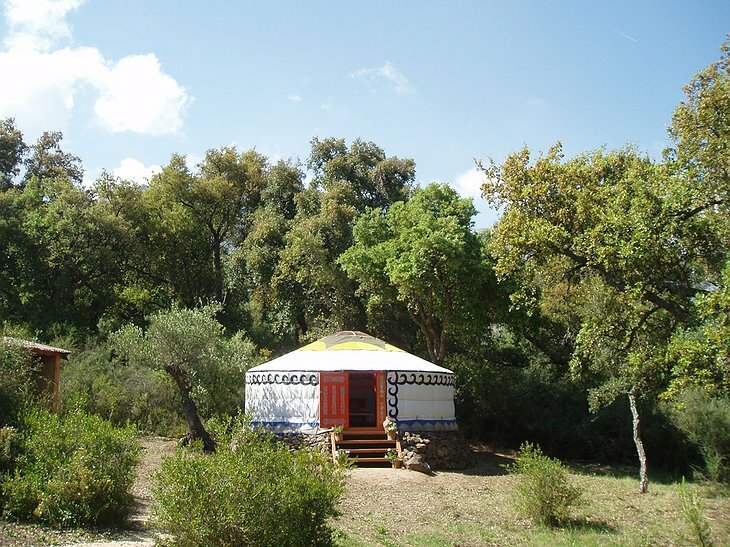 You can laze in a hammock and shower in your own bathroom next to the Yurt set apart in your own secluded spot in the Spanish countryside. 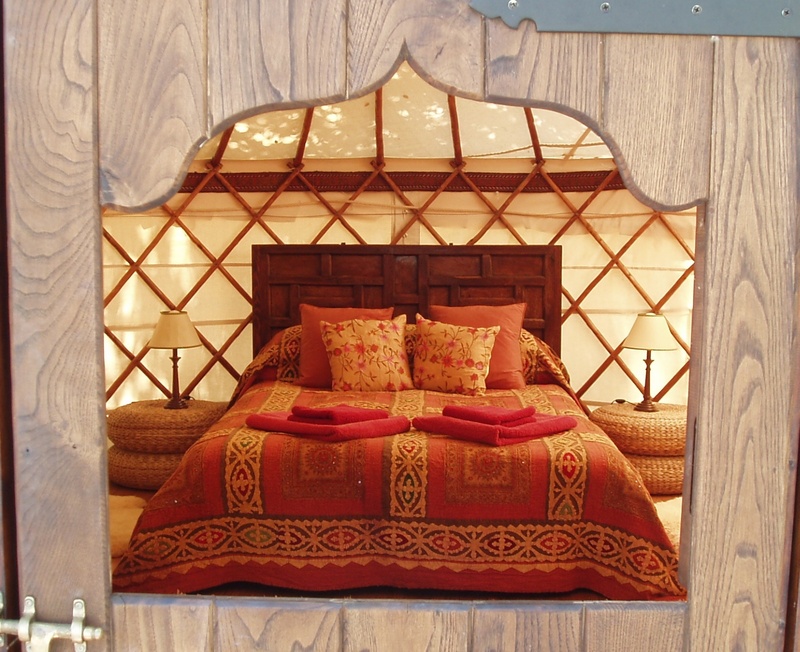 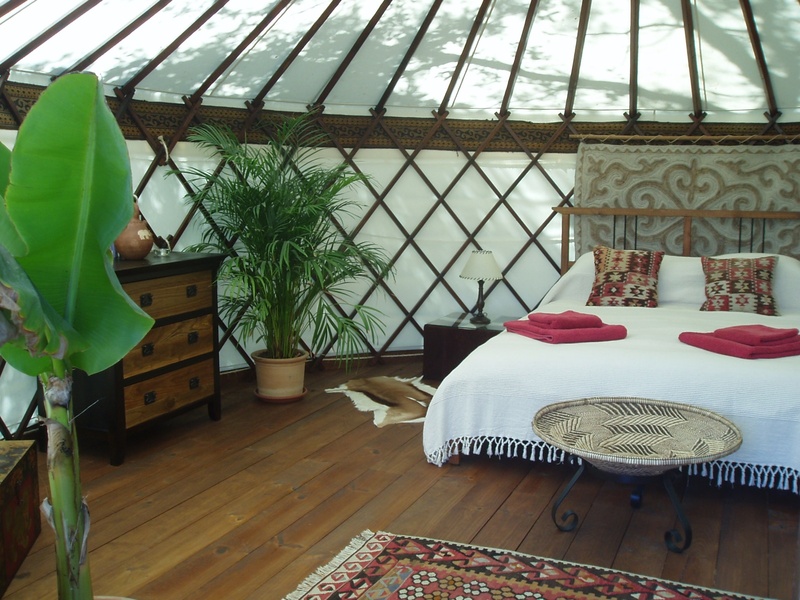 Your Yurt is set in a private meadow which you share with a huge array of birds and butterflies providing a true back-to-nature experience. 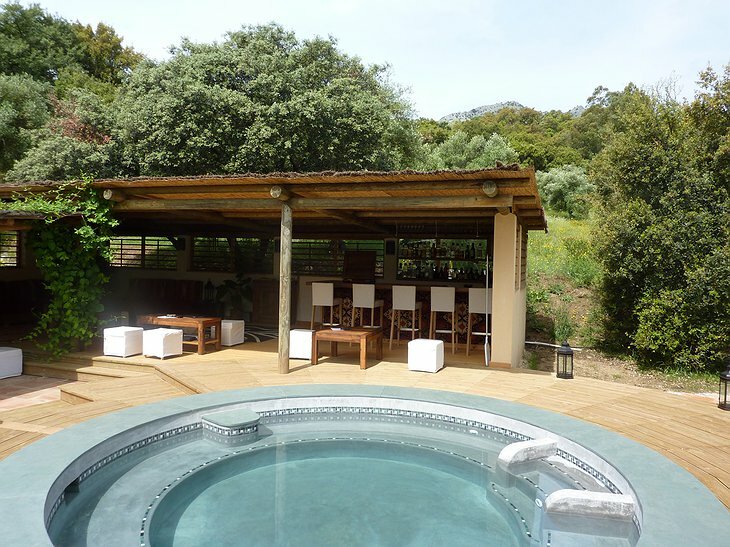 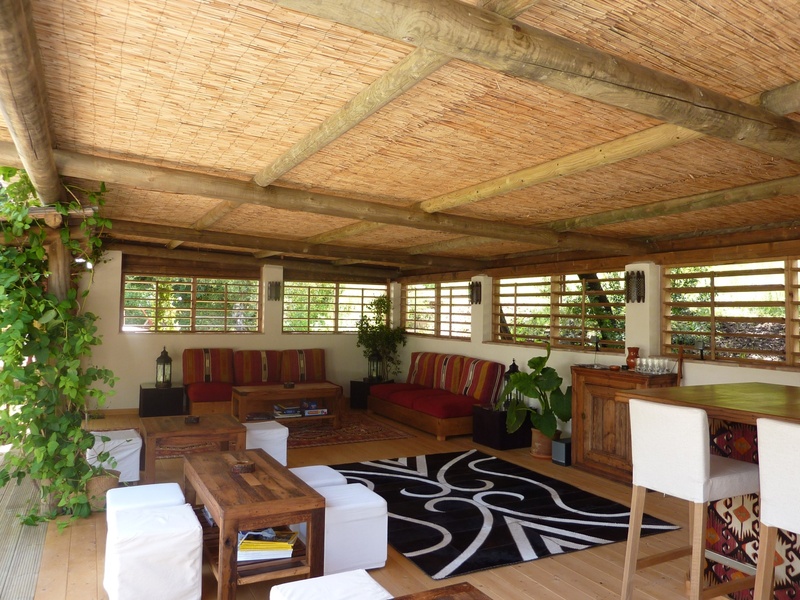 The gathering area is nearby and has a lively Tapas restaurant, bar and swimming pool. 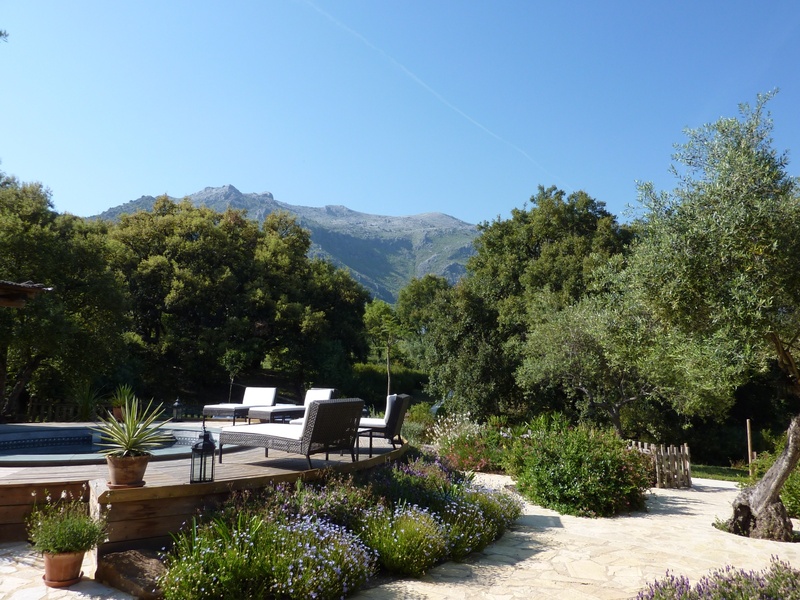 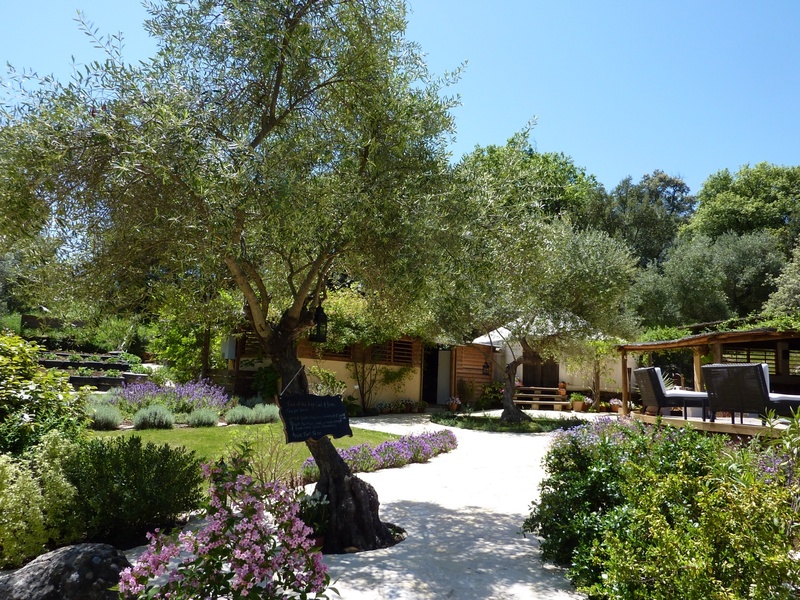 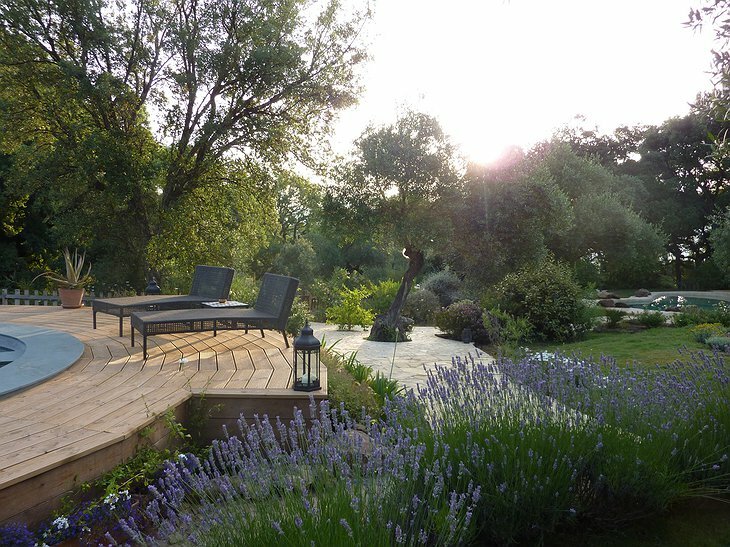 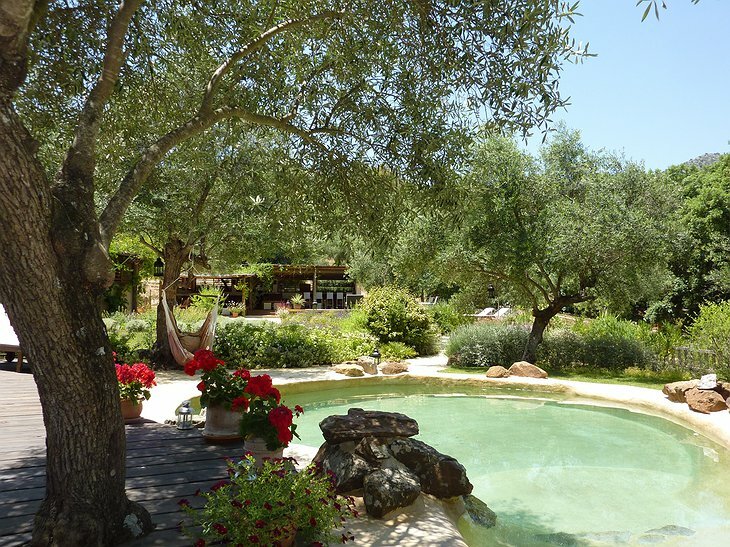 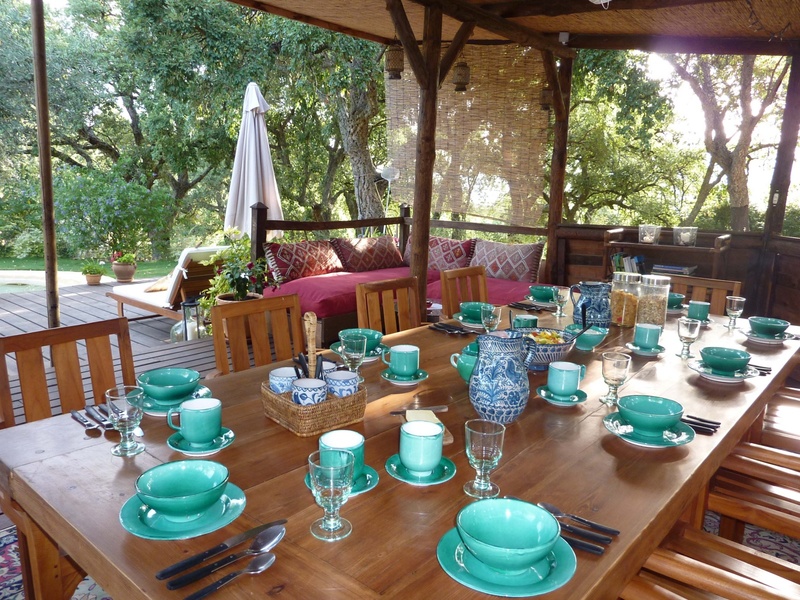 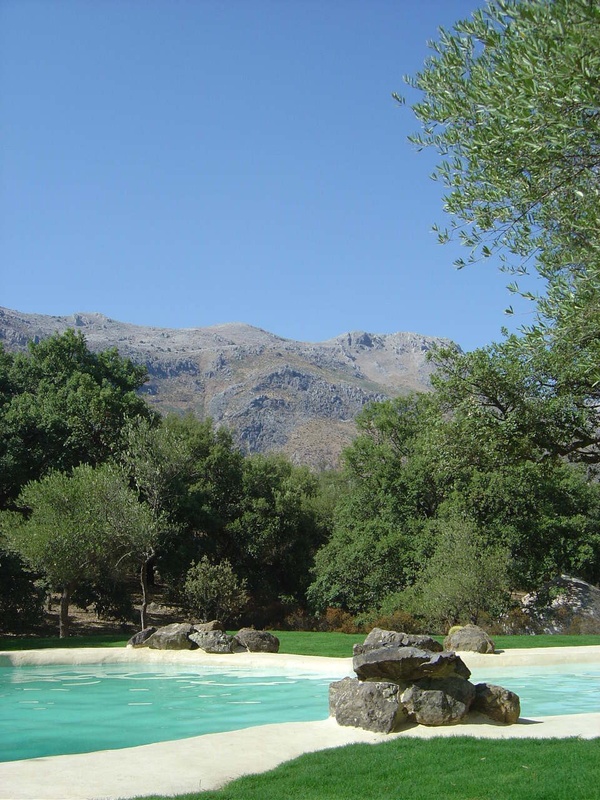 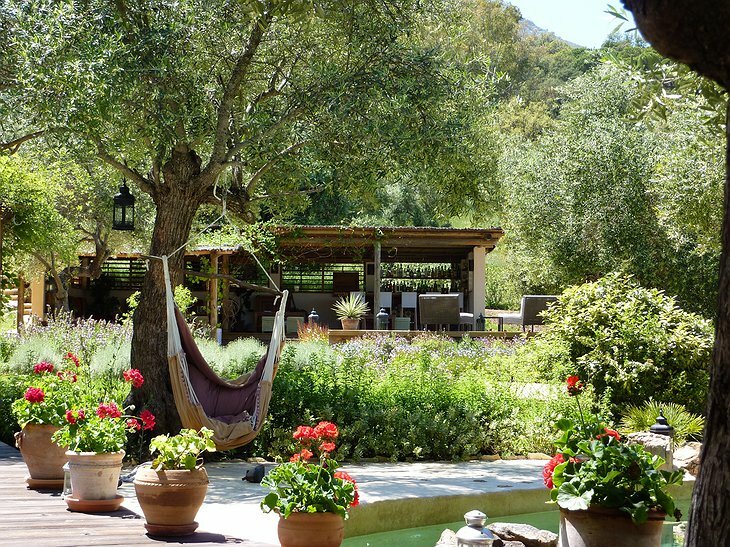 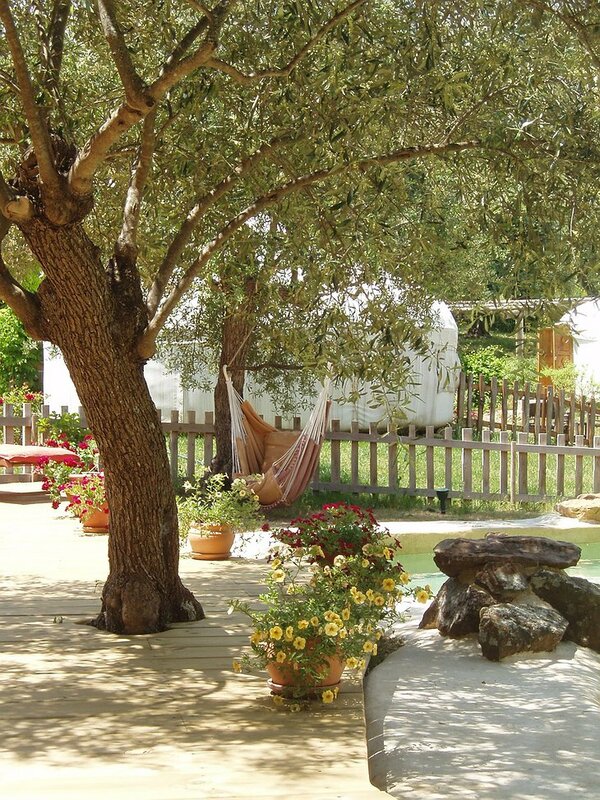 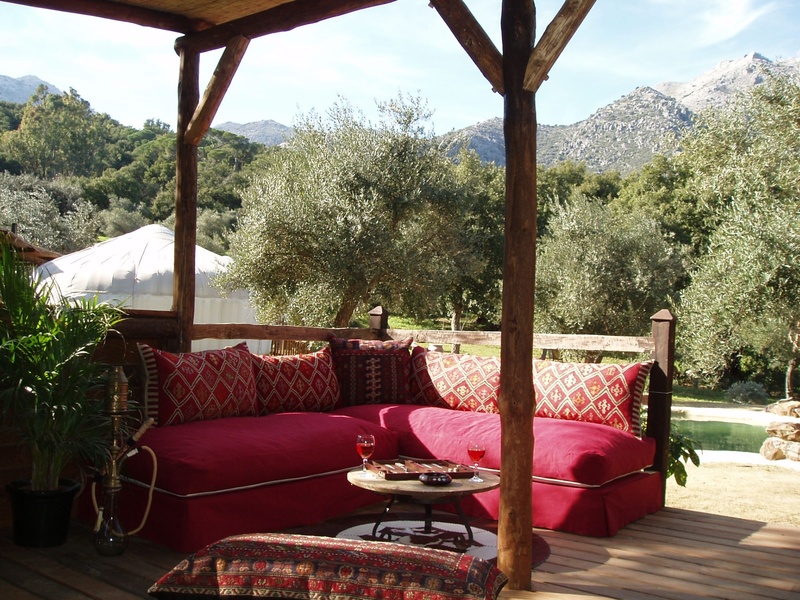 Open air massages are provided outside under the shade of the cork trees. You can explore the traditional “white villages”, ancient cave paintings or go to the local beach and try a bit of “Kite Surfing”.